We dig through the digital mailbag and answer listener questions. One of the most interesting is: Should your business have a podcast? They are not for everyone. 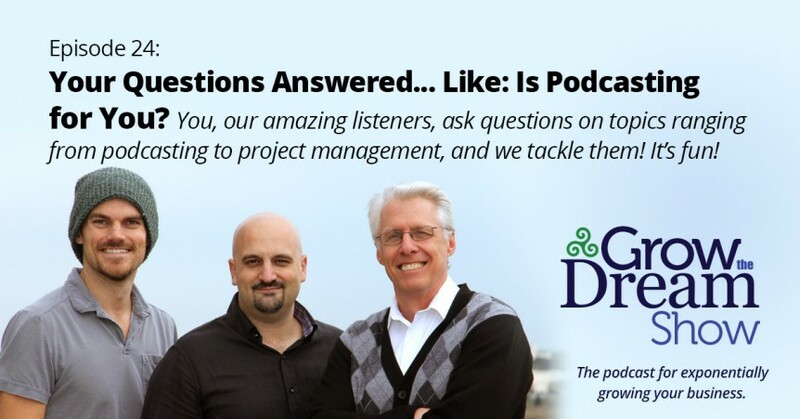 We discuss how to determine if your business would benefit from podcasting, project managing on Slack, general project manager software and more! Huge thanks to @SelahCosentino, Jordan Snowden, & @BrandonLaws for writing in!